Both customers and agents love our tools. The good news is, those days are over. Clients appreciate insurance agents and advisors that give guidance based on independent, unbiased analysis. 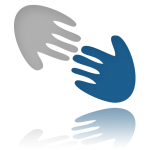 Presenting independent, unbiased analysis shows the client that you are putting them first. That builds trust and loyalty. Example of the Protection Grade in a ValChoice auto or homeowners insurance report card. 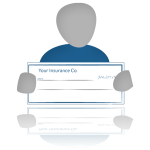 Are your clients getting the most for their money? ValChoice analytics will compare car insurance companies, and show clients and prospects what they’re getting for their money. Show prospects and clients their protection! ValChoice analyzes millions of data points and visually displays how good the protection of any company is relative to the rest of the industry. How does the service of the competition stack up against your offering? We measure the service of all companies so you can compare insurance companies on their service. 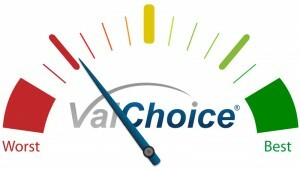 ValChoice provides independent, unbiased ratings on car insurance companies. We collect and analyze millions of data points. We give you and easy-to-use interface that accesses our database and describes every insurance company in a single, easy-to-understand, fuel-gauge-style image. 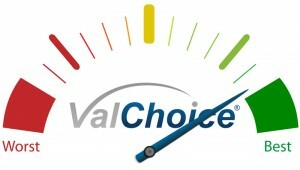 When your clients are comparing insurance, ValChoice tools are the only way to find the best offering. Insurance agents face stiff competition. 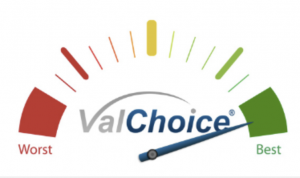 ValChoice helps agents break through the market noise to make you a top producer. Weather your goal is to generate better leads or achieve industry leading conversion rates, ValChoice tools are the answer. 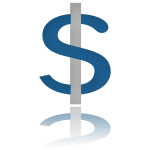 Agency owners are using our tools to increase profitability. Our unbiased data benefits both the agency and the client.